One Common Sandpiper was at Clahane. in the middle of Lisdoonvarna Town. A flock of 28 Whimbrel were at Islandavanna, Clarecastle. Three White Wagtails and 22 Whimbrel were at the Shannon Airport Lagoon. A male Blackcap was singing at the Lees Road Wood. Over 300 Whimbrel were on the Fergus Estuary this evening. Two Ravens were at Clenagh Castle. 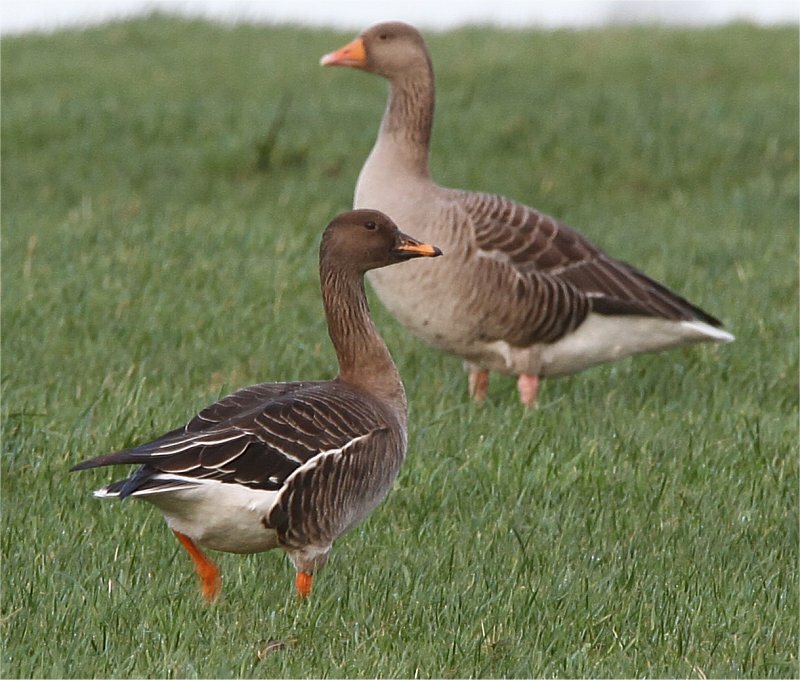 Three Greylag Geese were seen in a field near Kilkishen. along with 70 Whimbrel (John N Murphy). One male Blackcap was at Gort Coirce, Dysert. One male Blackcap was at Cliffden Hill, Corofin. 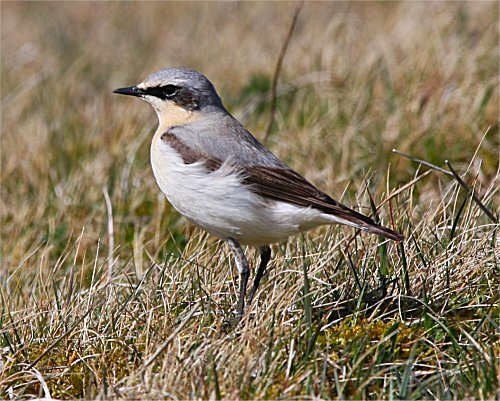 There were eight White Wagtails and 40 Whimbrel at Clahane. Ten White Wagtails and 55 Whimbrel were at Seafield, Quilty. the Burren along side one singing male Blackcap. One male Blackcap was singing at O’Sheas Shop Kilmaley. Another male Blackcap was singing at Darragh. 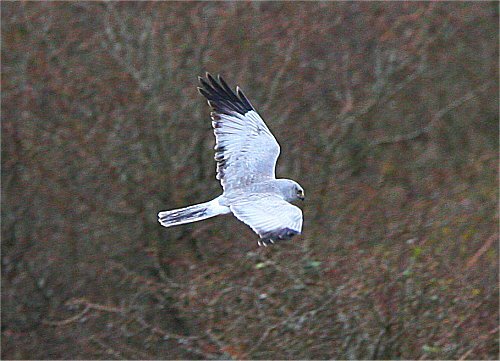 One female Hen Harrier was seen near Kilmaley. A flock of 14 Whimbrel flew over the River Fergus near Clarecastle. There was one male Hen Harrier near Ben Dash this morning. A Barn Owl was seen in the early hours of this morning west of Inagh. A flock of 28 Whimbrel flew North-westwards past Ballycar, Newmaket-on-Fergus. One male and one female Hen Harrier were seen near Ben Dash. One male Blackcap was heard singing outside O’Sheas Shop, Kilmaley. One male Blackcap and two Jays were at Gort Coirce, Dysert. There were 250 Herring Gulls and 200 Kittiwakes at Clahane. A small flock of 33 Whimbrel flew past Ballycar, Newmarket-on-Fergus. 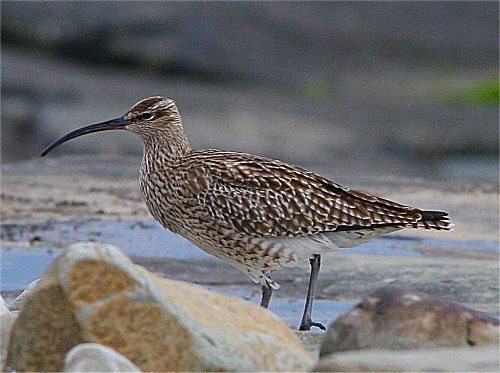 Another flock of 120 Whimbrel were seen at Cammogue Point, Poulnasherry Bay. 48 Whimbrel, two White Wagtails and 240 Golden Plover. were also four White Wagtails. There were 35 Whimbrel and three White Wagtails at White Strand, Spanish Point. 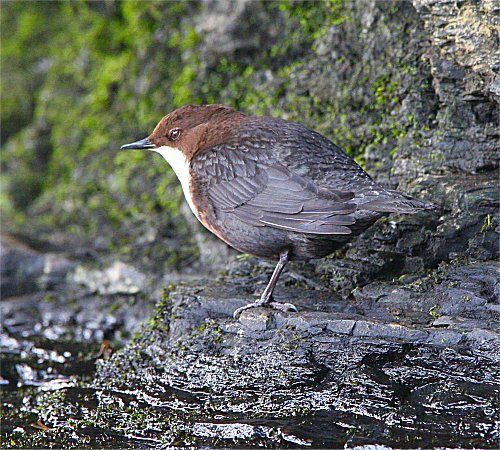 Two Dipper were on the Claureen River near Darragh. One male Blackcap was at Ballyallia Lake. One Common Sandpiper, two Tree Sparrows and 100 plus Whimbrel were at Liscannor. One Common Sandpiper was at Lough Gealain, Mullaghmore the Burren. There were 120 Whimbrel and one Merlin at Doughmore Bay. A flock of 55 Purple Sandpipers were at Spanish Point. One male Blackcap was seen building a nest near Gort Coirce, Dysert. One Whooper Swan was at Lough Donnell. Lagoon this morning (John N Murphy & Brian Finnegan). There were 46 Whimbrel at Ballycar Newmarket-on-Fergus. One male Hen Harrier was at Woodcock Hill. 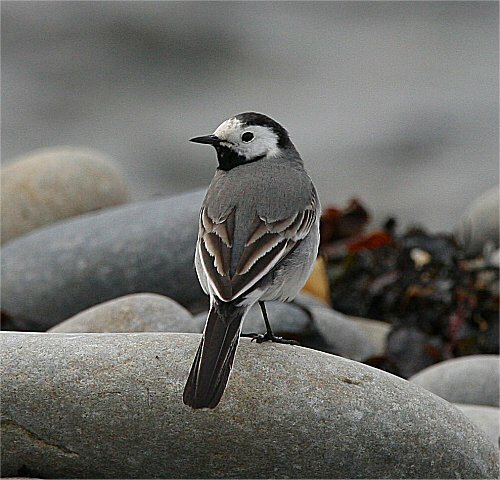 White Wagtails were at Liscannor Bay. One Dipper was on the Annaghgeragh River. There were 20 Whimbrel and three Whooper Swans at Islandavanna, Clarecastle. A flock of 15 Whimbrel were at Doughmore Beach. There was a large movement of 150 Whimbrel over Kilkee this evening. plumaged Spotted Redshank and two Sedge Warblers (John N Murphy & Stan Nugent). the way to Loop Head Lighthouse a first-winter Iceland Gull was spotted. A female Hen Harrier, 35 Brent Geese and 15 Whimbrel were at Liscannor. 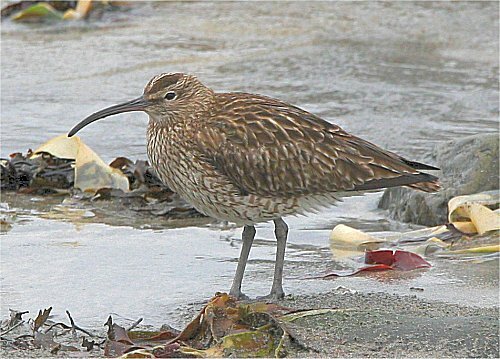 A flock of 16 Whimbrel were at Cappagh, Kilrush. Another 12 Whimbrel were at Lough Donnell. Seven Little Egrets were at Moyasta. One Little Egret was at Kilcredaun Marsh. Twenty White Wagtails were at Lurga Point with another six at Quilty. One Crossbill, a Jay and 20 Siskins were seen at Maghera Mountain. 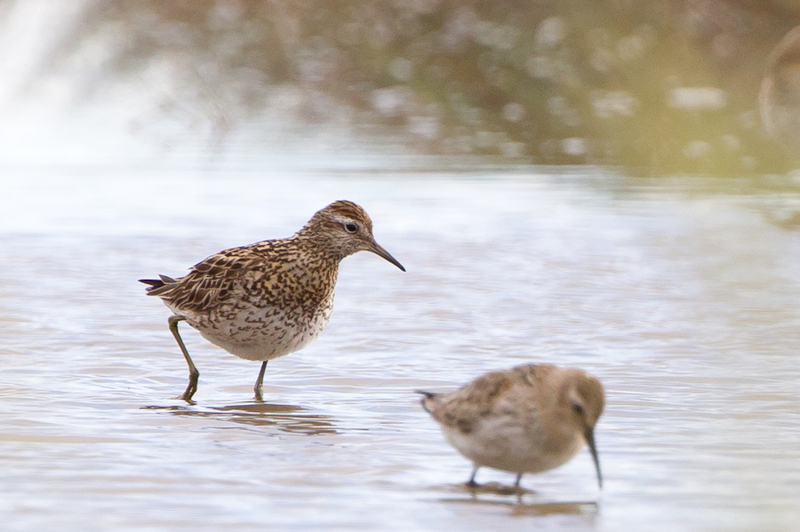 A small flock of 14 Whimbrel were at Clenagh Bay. The Cuckoo was still at Darragh this morning. 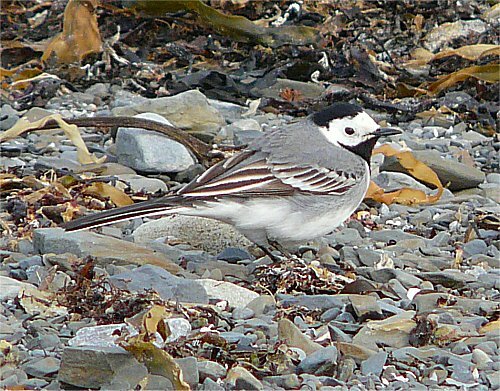 There were over 20 White Wagtails between Liscannor and Clahane today. 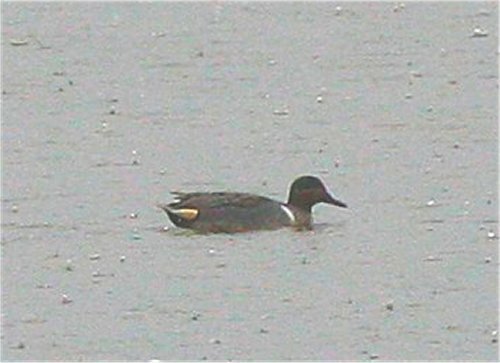 at Lough Mask in June 2006. There were 35 Brent Geese at Liscannor. 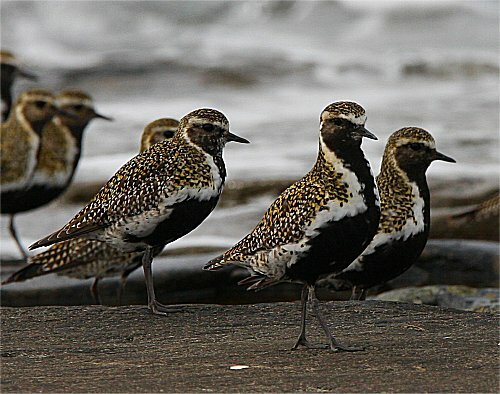 A flock of 130 Golden Plover were at Doonbeg. Two Dippers were at the Falls Ennistymon. A flock of 23 Brent Geese were at Fanore. One Jay was at the Lees Road Wood. A Cuckoo was heard calling at Darragh. A Swift was at Doughmore Bay, Doonbeg this morning. Also at Doughmore Bay were 34 Whimbrel and one Merlin. 260 Golden Plover and eight Whimbrel. 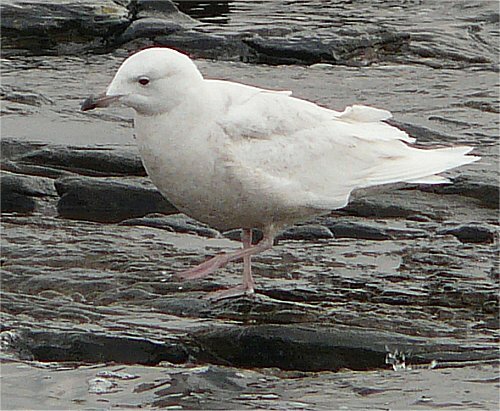 and the hybrid Herring x Glaucous Gull, and one Merlin, all at Seafield, Quilty. Seven Tree Sparrows were at Carrowmore Point. Two Tree Sparrows were at Liscannor. There were four Crossbills at Glencarragh Wood, Woodcock Hill this evening. One female Blackcap was near Bindon Street Bridge in Ennis. five White Wagtails, 29 Great Norther Divers and 11 Red-throated Divers. A flock of 23 Whimbrel were at Liscannor. A Cuckoo was reported from Fanore. One Common Sandpiper was at Clarecastle. the first reported this year for the county. One Dipper was on the Claureen River. 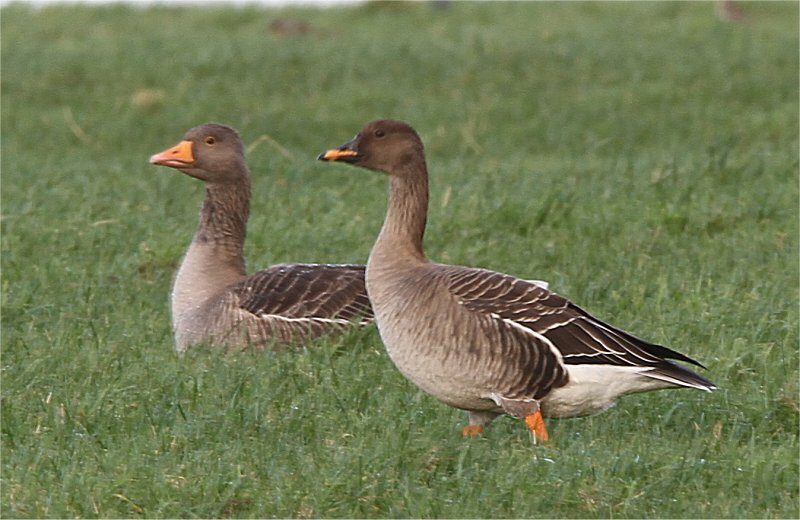 One Greylag Goose was at Ballycar Lough. One male Blackcap was heard singing at Dromoland Castle. There was a large arrival of Swallows in the county today. 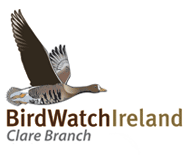 One male Hen Harrier was near Ballard Bridge, the Burren. 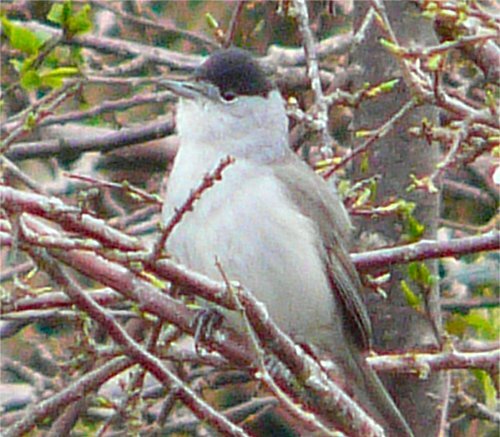 A male Blackcap was at Ballycar, Newmarket-on-Fergus. 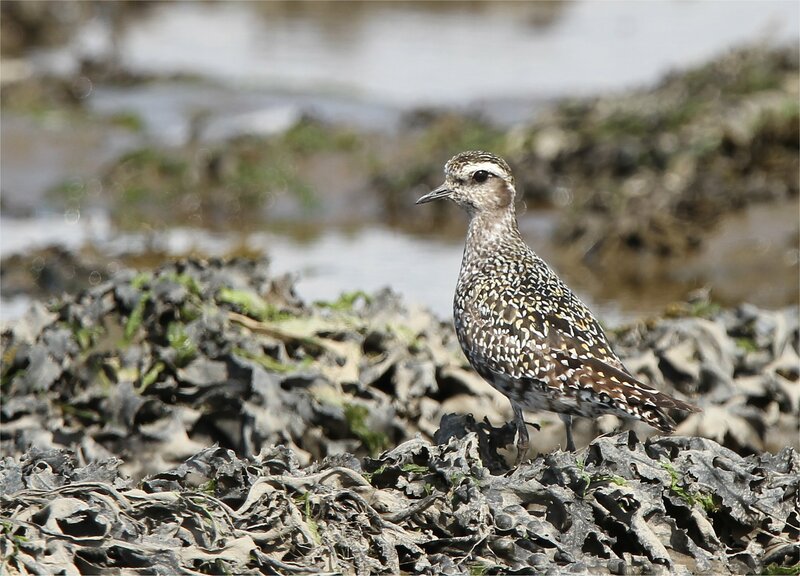 A flock of 200 Golden Plover were seen near Ballyvonnavaun, Clarecastle. 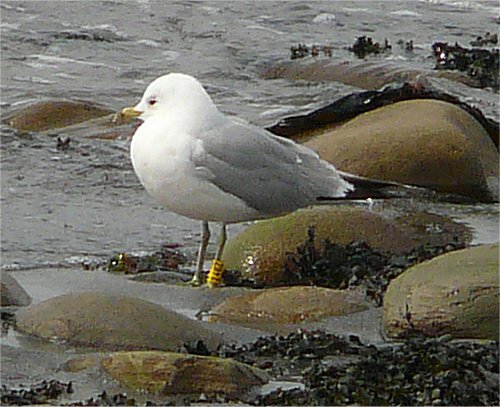 One adult Yellow-legged Gull was at Lough Donnell. 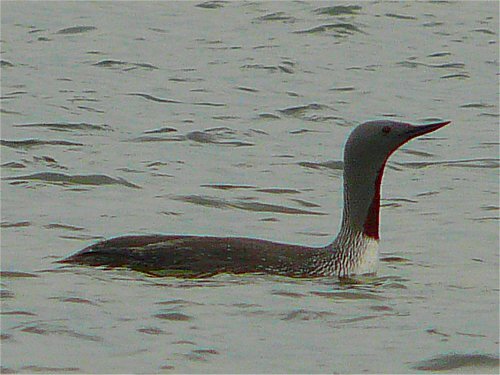 Great Northern Divers were at Doughmore Bay, Doonbeg. 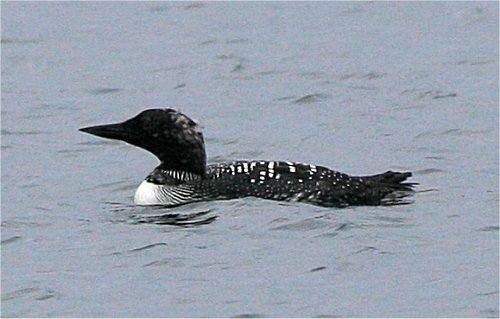 A large count of 100 Great Northern Divers were off Aughinish Island. Right Leg Green L, Left Leg Yellow K.
another along the Fergus River in the centre of Town. 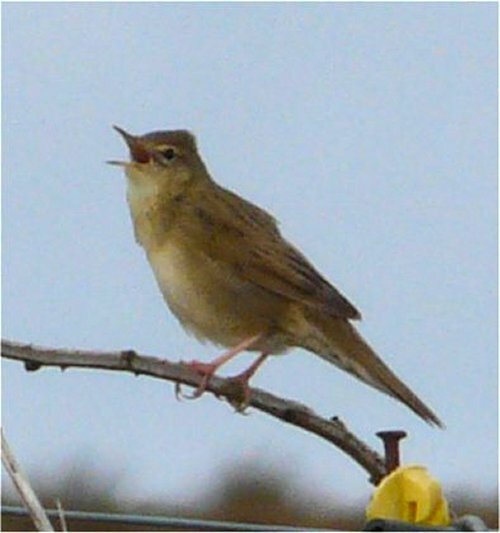 One Willow Warbler was singing at Darragh. One male Blackcap was at Ballycar, Newmarket-on-Fergus. 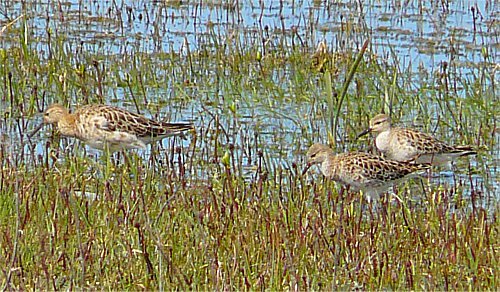 There were three Ruff at Lough Donnell. A group of 12 Little Egrets were on Dernish Island, near the Shannon Airport Lagoon. The first Swallow of the year was seen at a farm near Spanish Point this morning. as a Peregrine hunted overhead. Two Sandwich Terns an Peregrine and a flock of 124 Brent Geese were off Liscannor Pier. and also at Ballycar, Newmarket-on-Fergus. 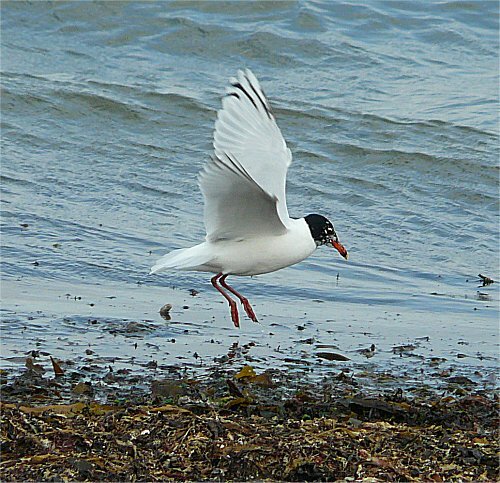 Six Common Terns were seen at Ferry Point, Poulnasherry Bay. One male Hen Harrier was seen near Booltiagh near Ben Dash. One male Blackcap was at Applewood, Ballycar today. A small party of 11 Whooper Swans flew past Commoge Point, Poulnasherry. over Poulnasherry Bay heading northwards. There were 100 Brent Geese at Cammoge Point, Poulnasherry Bay.